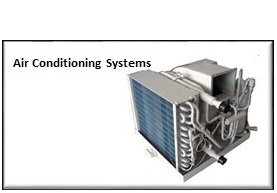 •Pacific Sea Breeze PSB A/C Units are a series of self-contained, direct-expansion, seawater-cooled, reverse-cycle (heatpump) HVAC systems designed for marine use. This series of PSB Units utilize rotary compressors, which offers quiet operation ,light weight, and low starting and running power requirements. The PSB self contained units provide compressor/water cooled condenser, evaporator/blower/air handler functions, and the electronic controller/junction box. The thermostat and thermostat cable are also included. The following installation parts must be ordered seperately - raw water pump, supply duct and vents, return air vent, power wiring and other misc installation parts. •Power Requirements : 120V/60Hz standard or 220V/60Hz, 110V/50Hz, 220V/50Hz, 380V/50Hz as a special order. Self Contained : units include compressor/water cooled condenser unit, evaporator/blower/air handler, thermostat and thermostat cables.